Kogmans (or Cogmans) Kloof is a poort (gorge) through the Langeberg between Ashton and Montagu on the R62 to Oudtshoorn. It is named after the Cogmans, a Khoi chiefdom that existed in the area around the beginning of the 18th century. The pass was constructed by Thomas Bain from 1873 - 1877 and follows the course of the Kingna River, which flows southwest of Montagu. 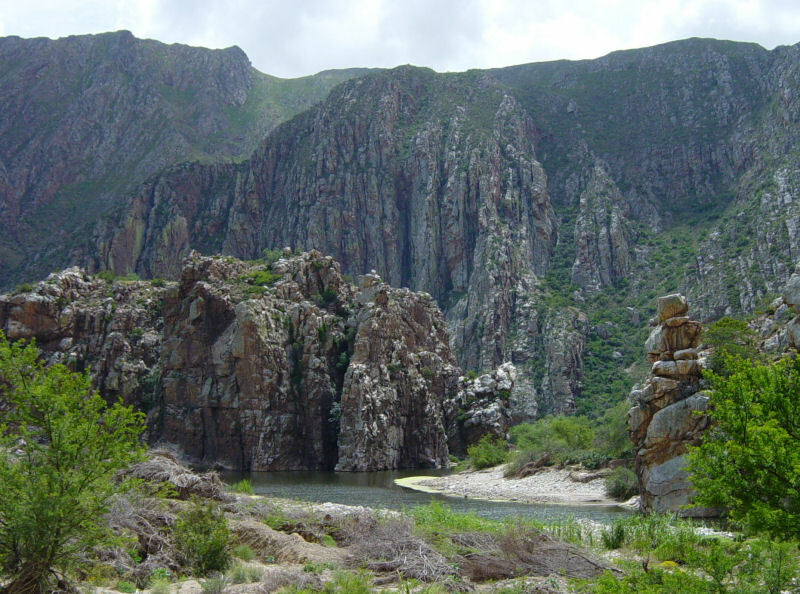 Kogmanskloof gorge is almost entirely incised within intensely folded sandstone of the Table Mountain group (TMG). At the southern (Ashton) end of Kogmanskloof the Malmesbury group underlies these younger folded sandstones that dominate the scenery of the kloof. 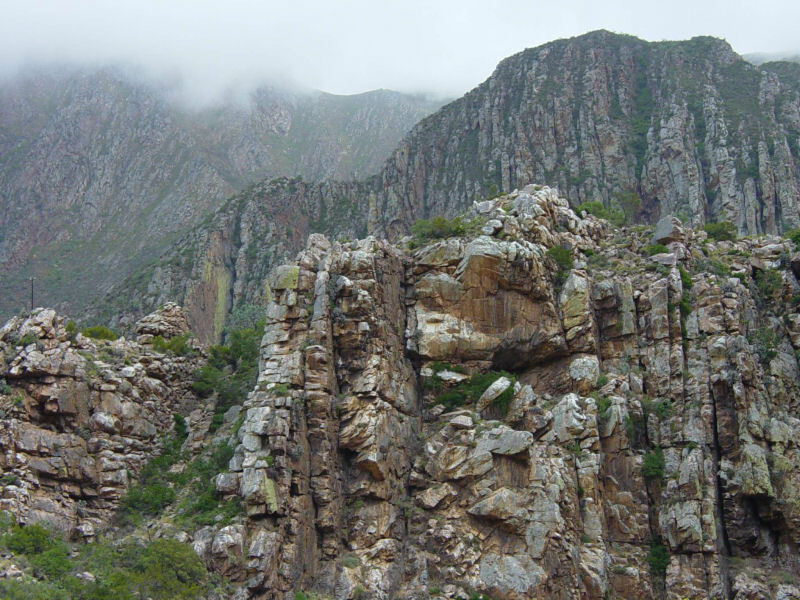 The formations in Kogmanskloof were deposited, folded and faulted over 500 million years ago. 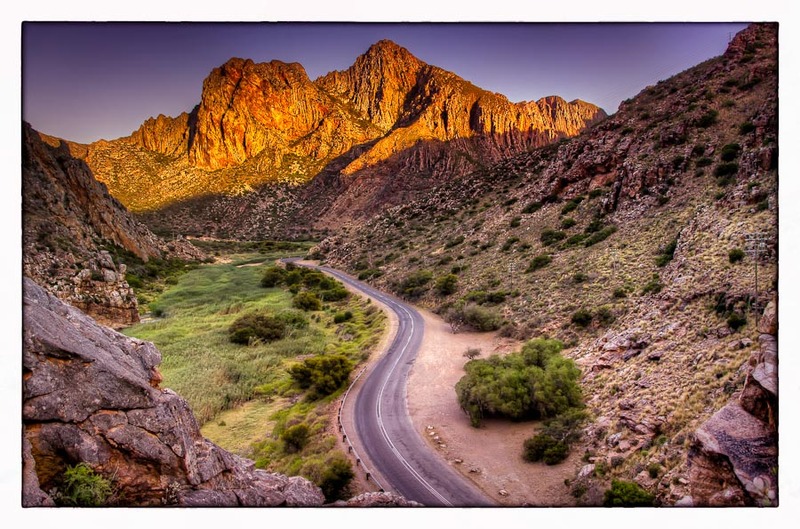 The most striking feature of Cogmanskloof is the way it cuts through the mountain range. 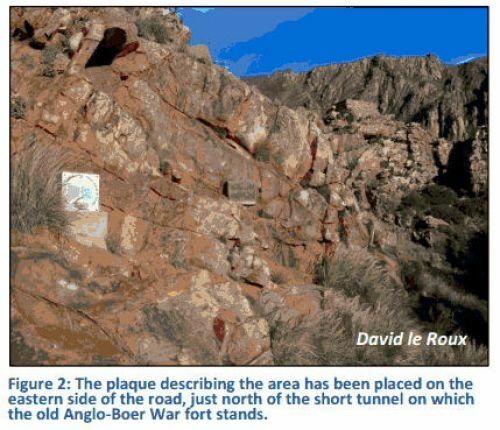 It is one of several such features found in the Cape Mountain Ranges, perhaps the best known being the Seven Weeks Poort which slices through the great Swartberg Range near Ladismith to the east. Exactly which processes acted to form these features are unknown, but several mechanisms probably worked together to produce them. The rivers may well have existed prior to uplift of the mountain range and their erosional power was able to keep pace with the rise of the land, that is, they could cut down as fast, or faster, than the rate of uplift. Thus, there may have been a superpositioning of streams onto the folded mountain range from some earlier elevated landscape. The geomorphology of the kloof today, is in a sense unique because it is undergoing continuous modification. 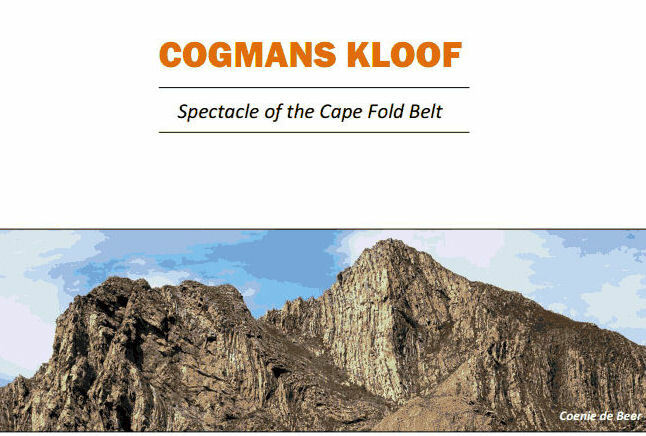 Although in any single lifetime, little or no change may be apparent, over a long period of say, millions of years, many aspects of the kloof morphology would have changed. A reminder of the powerful forces of erosion was provided in January 1981, when heavy rains in the southern Karoo caused the Keisie and Kingna rivers to flood and meet at their confluence in Montagu, before rushing through Cogmanskloof to Ashton and the Breede River, with considerable loss of life and damage to property. The road is to be raised and realigned to minimise flood damage in years to come.